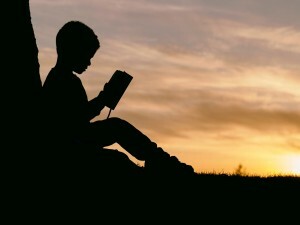 Whether your child loves to read or has a more difficult relationship with the subject, they will still have to master its various components in order to find success. Luckily, reading tutoring is the perfect way to stay on track when it comes to making reading gains. If you're not sure what reading components your child needs to master, continue reading. Like many other school subjects, reading is made up of a number of components that all work together to make sense. These components are introduced one at a time when students are just learning to read. Over time, they will have to combine them and master them to become more effective readers. If one area is mastered but the others aren't, your child will face some struggles. Below are the most important components your child will have to focus on. Phonics refers to the connection between written letters and their corresponding spoken sounds. Children should start making phonetic connections at a young age. This doesn't mean they'll be able to read complete words right away, but they should start being able to sound out letters. Start by teaching your child to identify letters by their name and then introduce them to their corresponding sounds. If your child continues to struggle with this skill once they already know how to read, there are ways to help them improve and get more comfortable with reading. Vocabulary building is often associated with plenty of reading, and for good reason. Reading introduces many students to new words, but this isn't enough. In order to ensure your child actually learns these new words, they should write them down, look up their definition, put them to use, and look up their root, synonyms, and antonyms. By learning words and taking note of their root, other new words may not be as hard to decipher, helping your child broaden their vocabulary. This will make reading and reading comprehension a lot easier. Reading can be a struggle for many young learners, but with a little extra help, it can become a fun activity. Help your child develop a love for the subject with the help of reading tutoring in Torrance, CA. You can find great reading based academic programs at The Tutoring Center, Torrance CA. To learn more about the programs they offer, contact them at (310)530-5377. Reading comprehension refers to a student's ability to understand what they're reading. It's not enough for them to simply pronounce everything correctly, they should be able to recall important information from the text. This does require that they multitask a bit because they need to focus on reading correctly while also absorbing important facts. To ensure your child is understanding a text, ask them to identify the main concepts and important information once they've finished reading. They should be able to remember some basic information about the main idea, but they can go back to the text for support. Reading fluency refers to a child's ability to read aloud in a fluid manner. This means that they will be able to read at the right pace, pronounce things correctly, understand how punctuation affects a sentence, and with the correct expression. Students who read in a choppy manner and with no expression can benefit from reading practice. Students who haven't mastered reading fluidly will often dread having to read in front of the class or any other audience. Practice this skill at home with these tips! If your child is a great reader, they can still benefit from extra reading work. Try introducing them to advanced reading concepts using more complex texts. Teach them to analyze texts more deeply and to form a healthy relationship with reading. A positive reading habit can benefit them if they plan to take Advanced Placement classes in high school and when it comes time to take text-heavy exams like the SAT and SAT subject tests. College-bound students can also benefit from being great readers because many college classes assign a lot of reading. To help your child become a skillful reader, don't wait any longer to enroll them in a reading tutoring program in Torrance. The Tutoring Center, Torrance CA has reading based programs for students of all ages. To learn more, contact their learning center at (310)530-5377.